Normally, the first tooth erupts between ages 6 to 12 months. Gums are sore, tender and sometimes irritable until the age of 3. Here at Memorial Pediatric Dentistry, we recommend rubbing sore gums gently with a clean finger or a cold, wet cloth helps soothe the gums. Teething rings work well but look for BPA-free products. While your baby is teething, it is important to monitor the teeth for signs of baby bottle decay. Examine the teeth prior to twice daily brushings, especially on the inside or the tongue side. A bottle containing anything other than water and left in an infant’s mouth while sleeping will cause decay. During sleep, saliva flow decreases and sugar containing liquids pool around teeth for long time periods. When acids remain on tooth enamel for extended time periods they cause tooth decay. Infant formula or breast milk contain large amounts of sugars/acids that will cause decay if given the opportunity. If you’re dealing with an infant with erupting teeth, and aren’t sure if things are going well, Memorial Pediatric Dentistry can help! 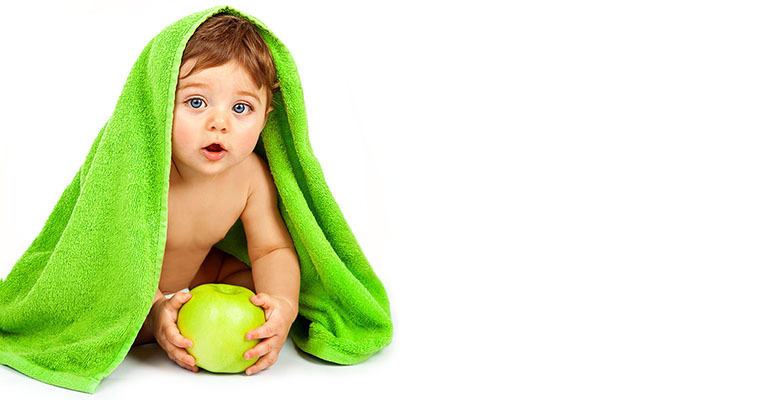 Our staff is well trained to handle teething toddlers and infants.